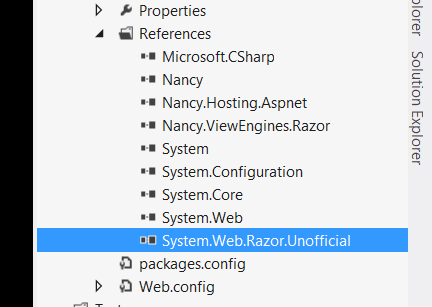 I just installed the Nancy.Templates for Visual Studio. 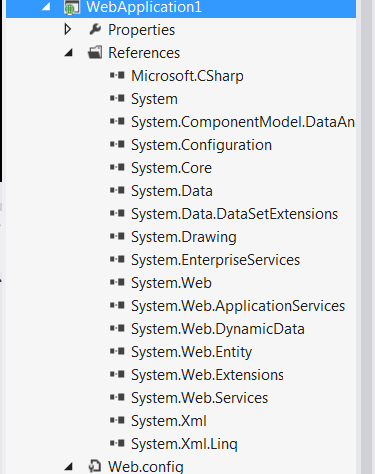 Before this, creating a project for Nancy has always been a bit of a pain - adding a mvc project and then removing a whole bunch of crap you don't need. Way too much fiddlery required. Nine is a good number. A Nancy.Hosting.SelfHost project would have even less dependencies. I think this is the key to true RAD - less cruft to get in your way. © 2013-Heat Death of the Universe. All Rights Reserved.